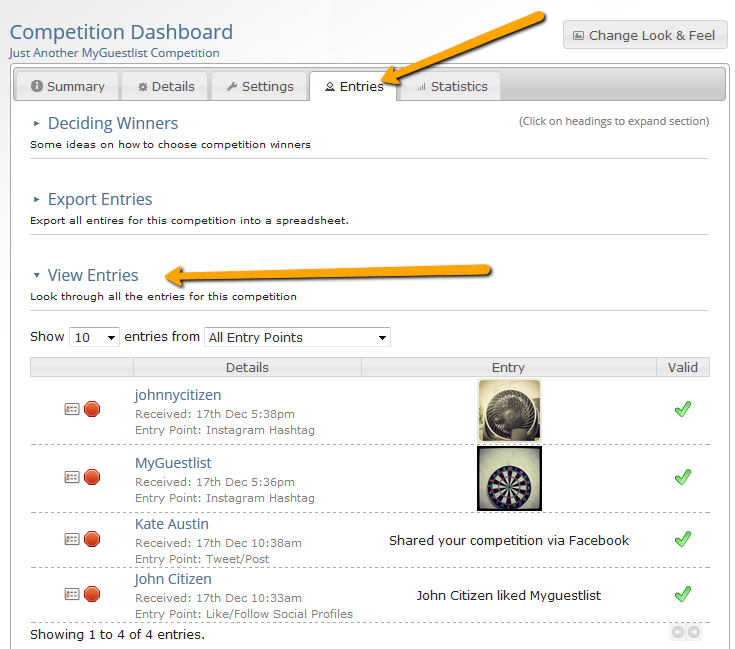 You can easily view entries to your Competition from your Competitions Dashboard. 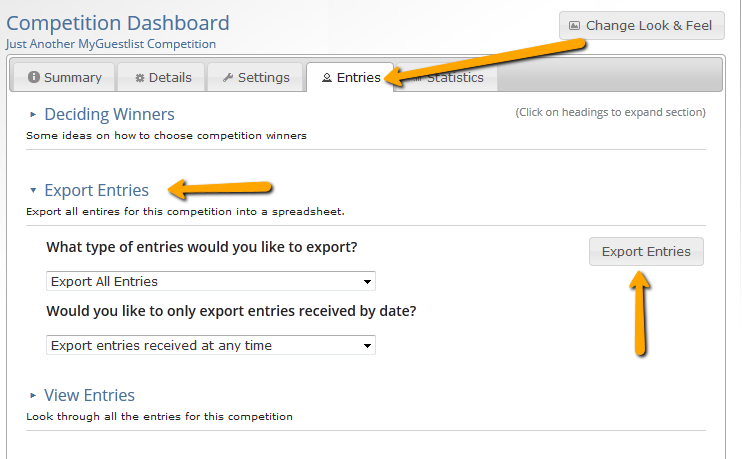 You can export your entries to an Excel file. Entries are broken down by each competition type of your competition as well.